Tha Alkaholiks return minus a few syllables (please now refer to them as tha Liks). The trio's first LP in four years, X.O. Experience, has a very familiar theme, which J-Ro elegantly reiterates on "Bullyfoot": "Keep it pouring motherf*cker till it hurts to swallow." Though Tash and J-Ro's frat-boy exuberance still runs rampant, the group's return is marked by a noticeable change in direction. With X.O. Experience, tha Liks are hunting for the one thing that has previously eluded them -- commercial success. In doing so, E-Swift revamps tha Liks' sound, eschewing their largely drunken, funk-based upbringing and leading the group into the now-very-fashionable computerized domain. The trio's breakout, the Neptunes-produced lead single "Best U Can," best-exemplifies their flossier outlook. Tha Liks' unabashed attempt to finally break through commercially does lead to a few missteps. The jubilant low-end production found throughout adds a fresh dimension to tha Liks' lyrical guzzling, exemplified by Rockwilder's vibrant electronic effects on "Run Wild" and DJ Scratch's boombastic drum bursts on "Bullyfoot," featuring the eternally amped Busta Rhymes. With X.O. 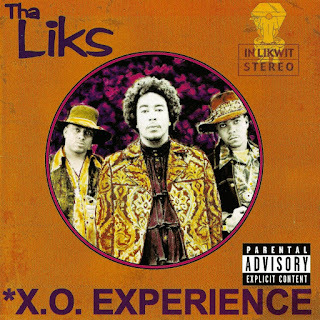 Experience, tha Liks have accomplished their goal. They have crafted a party LP that any hip-hop fan can enjoy.